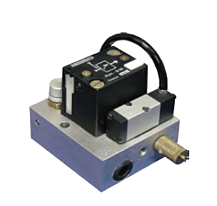 Parker Air Saver, sometimes called pulsing or pulsating air valve, is a pneumatic air valve that converts constant flow of air to pulsating air. In open-ended (blowing) pneumatic applications, compressed air consumption can be reduced by up to 50%, while performing the same amount of work. An online savings calculator is available to give you an idea about how much your company can save by installing an Air Saver. Read through the reviews in articles below to get an idea how Air Savers can reduce CO2 emmissions and save energy costs by reducing compressed air consumption. 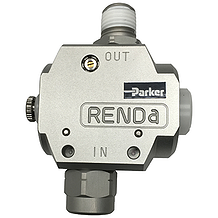 "Parker Hannifin’s latest device promises to provide both efficiency gains and cost reductions. 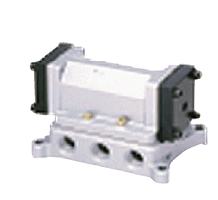 The Air Saver Unit can reduce air consumption by 50% and Improve air efficiency in air blow applications." "Air blowing activities consume almost half of all compressed air used in plants, an often unrecognised burden on a business’s resources. However, Hangzhou Hongsheng Beverage Group has seen a substantial 45 per cent reduction in compressed air consumption due to a new air saving solution." "Based on energy audits conducted by the U.S. Department of Energy, more than 95 percent of compressed air systems present opportunities for saving energy." "Air audits Parker has conducted have revealed that the use of uncontrolled blow-offs is one of the top air consumption issues on factory floors." "Aside from a sizeable reduction in air consumption, the Air Saver Unit offers other major advantages that include savings in compressor power, a reduction in overall CO2 emissions and a significant contribution to energy-saving activities." 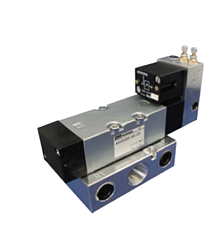 "Parker Hannifin Corporation debuted a new air saver unit suitable for use in both new and existing factory floor air nozzle and air gin applications that allow uncontrolled blow-offs." "Rather than a continuous flow, the Air Saver generates a rapid pulse of air, cuts air costs but also improves efficiency, by striking a part repeatedly in drying and debris removal applications." "The unit is also easy to install. 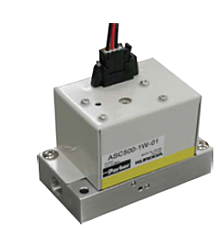 At plants using electrically operated solenoid valves to control air blowing, they can be quickly and easily retrofitted with no significant system changes such as PLC program reconfiguration. For plants using manual ball valves, there are also passive versions of the air saver unit that do not require an electrical supply." 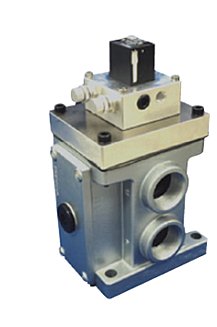 "At its core is a switching valve that converts continuous air blow into pulsed air blow without the need for any additional external control." 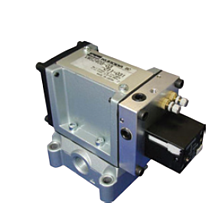 "The Air Saver Unit is suitable for use in both new and existing factory-floor air-nozzle and air-gun applications that allow uncontrolled blow-offs." "Put simply, this creates air that is blown in a series of high speed on and off pulses; when the blow is off, there is no air consumption, resulting in fewer tank recharging cycles."